A scoring system error led to the wrong medals being awarded in the women’s combined F35/36-class discus event at London 2012 Paralympics. 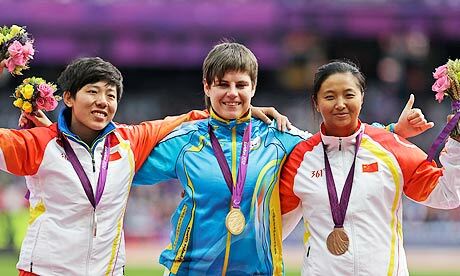 Ukraine’s Mariia Pomazan originally won gold and Wu Qing of China silver, but the pair has swapped places in the new revised medal table. Bronze medallist Bao Jiongyu of China has been demoted to fifth place, with Australia’s Katherine Proudfoot up to third from fifth. The new medal ceremony is on Saturday. In total, seven of the top 10 and all of the top five positions were changed. Paralympic organisers said in a statement: “All combined class field events use a points scoring system where final positions are determined by points rather than distance. “In today’s women’s combined class discus event [F35/36], incorrect medals were awarded following the use of inaccurate results data. We sincerely apologise to the athletes affected. “The inaccurate data also affected the men’s shot put F42/44, although the final medal placing was not impacted.